The hand that we prefer to use – the right or the left one – speaks about how our brain is organized. For example, if we are strongly right-handed (i.e., we prefer the right hand for almost every activity) it is very likely that our left hemisphere will be the host of our language functions. However, if we are strongly left-handed, there is about a one in four chance that we have atypical language lateralization. This translates to language representations being symmetrically served by both hemispheres or being right-hemispheric. 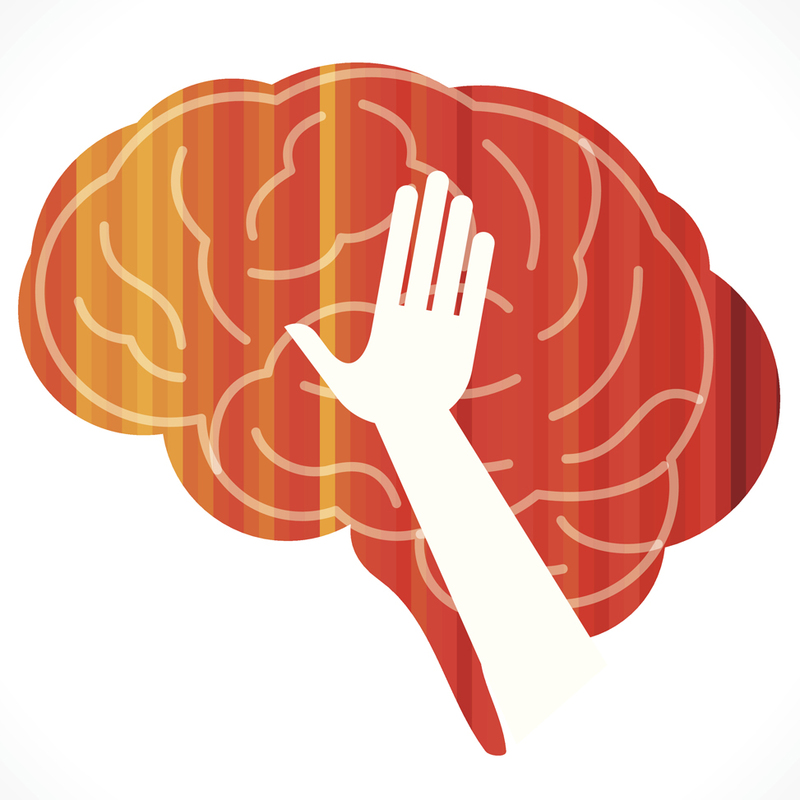 In this way, handedness is a window to the workings of our brain. No surprise that handedness is often used by scientists as an easy-to-observe proxy for the cerebral lateralization of language! Now, what happens when someone uses a language that does not involve speech and hearing, but rather hand movements and vision? What about deaf individuals who sign1? How do auditory deprivation and use of sign language affect their cerebral lateralization for language? In order to answer this question, we used a statistical technique called meta-analysis. We systematically searched the literature for any study ever published –or even unpublished!- that has measured hand preference in deaf individuals. Using meta-analysis, we were able to obtain more powerful results than each individual study alone. We found that deaf individuals are 2.25 times more likely to be left-handed compared to hearing individuals (in studies which directly compared deaf and hearing participants). It gets more interesting. We looked at deaf participants only (i.e., not compared to controls) in order to find out if the way researchers measure hand preference makes a difference. Usually in deaf individuals – and always in hearing individuals – handedness is measured through one or more manipulative, everyday actions, such as writing, drawing, or cutting with scissors. In deaf individuals, one can also observe the preferred hand during sign language use (signing). This is an even more widely open window to the cerebral lateralization for language. When signing, the hands are used in a linguistic act and are the main articulators – they are literally the ones doing the talking! So here comes the catch: when left-handedness was measured by means of sign actions, around 10% of the participants were left-handed – which matches the generally accepted estimate in the hearing population! When we focused on studies that measured handedness in the same deaf individuals using both manipulative and sign actions, then left-handedness rates were again around 10%, for both actions. At first glance these findings seem contradictory. How can deaf people be 2.25 times more likely to be left-handed compared to the general population and, at the same time, have exactly the same left-handedness rates as their hearing counterparts? In order to grasp these findings, we have to remember that these two results come from two different groups of participants: the first one comes from participants in studies which compared deaf and hearing individuals on handedness for manipulative actions and the second finding from studies that involved the evaluation of sign language use. We believe that the discrepancy emerges from the fact that when hand preference is measured using manipulative, everyday actions, any deaf individual – signing or not – might be recruited for a study. However, when signing is part of the equation, then only signers are included. In other words, deaf individuals who have mastered a sign language, show typical handedness patterns, probably indicating typical language lateralization in the brain. On the other hand, deaf individuals who are not necessarily signers may have delayed or incomplete language acquisition. These are probably the ones who present with elevated levels of left-handedness, mirroring their atypical cerebral lateralization for language. What have we learned? When it comes to cerebral lateralization for language, the primary modality supporting communication (i.e., the aural-oral modality of spoken language vs. the visuospatial modality of sign languages) seems not to have an effect on it – at least not one that is evident through the measurement of handedness. What we suggest is critical, is that language acquisition (be it spoken or signed language) takes place early in order for language to be adequately mastered. Sign languages are real languages, just like spoken languages, except for the way they are expressed and perceived. Deaf individuals can learn a sign language from birth, just like a hearing baby learns a spoken language. However, if a deaf baby is only exposed to a spoken language she will miss out on a lot of the linguistic input. This may lead to atypical language development, and as a result, possibly atypical language lateralization. This then could also surface in atypical handedness. These findings have important implications, not only for deepening our knowledge about what makes our brains develop in a typical fashion, but also for early intervention for deafness, which should include sign language. 1 Not all deaf people use sign language and not all sign language users (signers) are deaf. Handedness prevalence in the deaf: Meta-analyses.